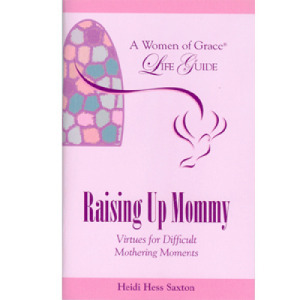 Have you ever had a difficult mothering moment - one of those times when you truly didn't know what to do? Or a time when you cast a backward glance and wished you would have done things differently - like exercised a little virtue, perhaps? By identifying our own "Mommy Monster" and applying its virtuous antidote, our mothering takes on a supernatural character that yields abundant fruit in the lives of our children, and ours as well.